The gooey, pearly white marshmallow melted on my tongue, sweet and creamy, reminding me of warm summer nights spent around the fire making s’mores. This morning I provided my seventh graders with the sentence “The sunset was pretty,” and asked them to paint me a sunset with words. It was not easy choosing only five to share with you, but I’m hoping you’ll be able to choose just one as this week’s winning sentence. Good luck! We have a short week this week, so voting will close Wednesday so I can inform the kids on Thursday. Since we have such wonderful writers in my current class, I thought it would be fun to have a sentence writing contest each week. So yesterday I gave the class an incredibly boring sentence (The marshmallow was good) and asked them to create a much more descriptive sentence, one that we could practically taste. It was a bad day to forget my lunch, let me tell you. By the time I’d finished reading all of their sentences, my stomach was growling so loudly that it frightened the cat. We could use your help in deciding the winning sentence. If you have a moment, would you please complete this form by Thursday, March 26th, and I’ll announce the winner on Friday. Thank you! First of all, I’d like to thank everyone who took the time to vote in our Goodbye to Cliches Contest. I can’t tell you how much my students and I appreciated every vote…all 198 of them! I especially loved seeing votes coming in from three different continents, places like Colombia, Saskatchewan, and Australia! 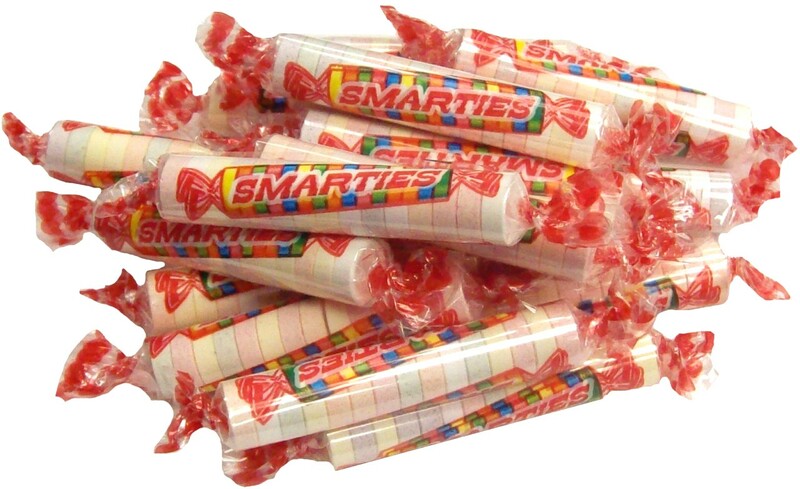 But, without further ado…here is the presentation I created to share with the seventh graders which sentences were voted by you as being Smarties worthy. Enjoy!